Making homemade bird suet is easy, and birds seem to be more attracted to it than suet products purchased in a store. The satisfaction you feel from watching your feathered visitors such as cardinals, chickadees, woodpeckers, nuthatches, flickers, jays and bluebirds enjoying your efforts will make the time spent creating this treat well worth it. 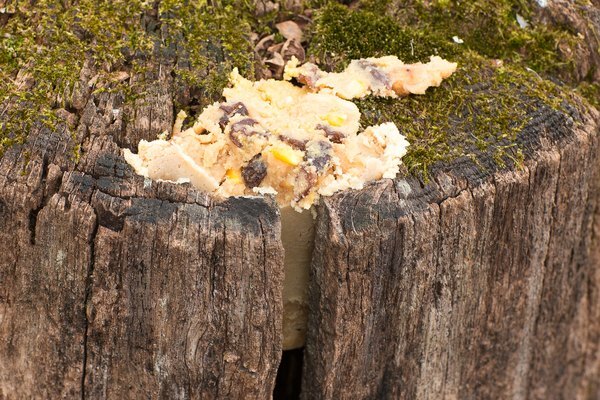 Homemade suet can be made with authentic suet (animal fat). However, it can be a real task to find this ingredient, and many bird lovers use lard or vegetable shortening with excellent results. Peanut butter is often mixed with the lard or shortening to make a binder for the other ingredients added. Most homemade suet recipes call for cornmeal. Adding cracked corn, shelled peanuts, oats, raisins and any seeds that wild birds enjoy will be the key to making your finished product a tantalizing treat. Your ingredient amounts will vary, depending on how much suet you wish to make. One recipe calls for 8 oz. of lard, shortening or suet, melted over a low heat. Another 8 oz. of peanut butter is added and mixed until blended together. 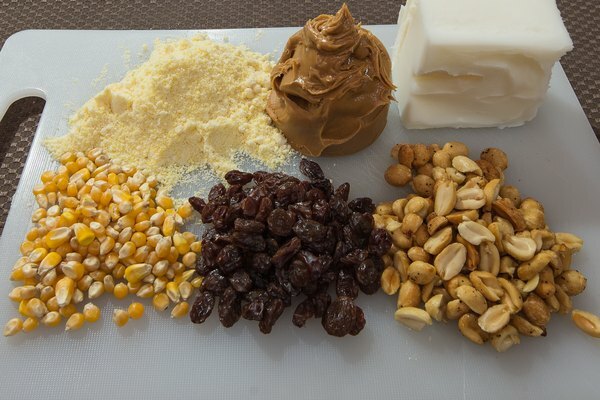 Add 1/2 cup corn meal, 1/2 cup shelled peanuts, 1/2 cup cracked corn and 1/2 cup raisins. Mix well. 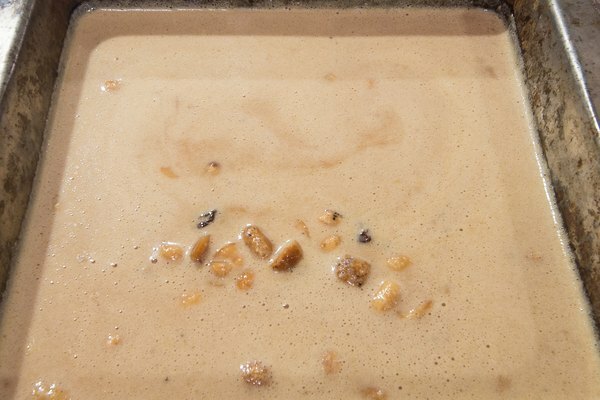 Pour the mixture into suet forms you have previously purchased or into a baking pan that is 8 inches by 8 inches, and let it cool. You can cut it to fit a form later. The suet that is not used immediately can be stored in your refrigerator. There are several varieties of suet feeders that can be purchased. Some upside-down feeders are made for clinging birds, like the nuthatch. Some have tail supports, designed for woodpeckers. If you would rather not use a holder, you may spread the suet on pine cones or tree branches, or stuff it into woodpecker holes in your trees. Suet is often used in the winter to help birds who may not be able to find enough food. It can become rancid if used in warm weather, so check it often. Suet bird feeders should be washed and disinfected with bleach in between uses.